Smith’s Olde Bar, an Atlanta venue that’s helped foster the city’s music scene since 1993, has a new lease on life with the help of an Atlanta real estate developer. Charlie Hendon, president and CEO of Hendon Properties, has entered into a 50/50 partnership with Smith’s owner, Dan Nolen. Hendon bought out previous co-owner Mike Reeves and plans to inject some needed capital into the neighborhood bar. The deal marks an exciting outcome for Smith’s, which just a few months ago was almost forced out of its 9,000-square-foot spot at the Morningside Strip Center, which sits at Monroe Drive and Piedmont Avenue. When the property’s original owner, Beverly Taylor, died in March, the building was put up for sale. 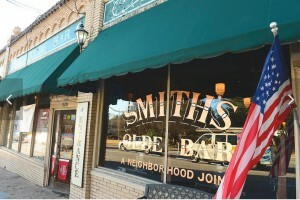 Smith’s soon received a 60-day notice to vacate, and in response, filed a lawsuit to fight the eviction. In December, Atlanta’s Selig Enterprises Inc. stepped up and purchased the strip center for $3 million, and Hendon and Nolen were able to sign a new 5-year lease. 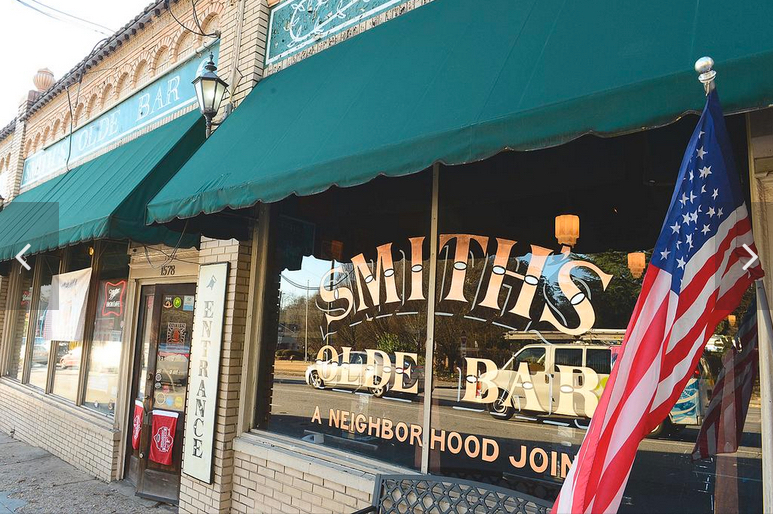 Now, the new partnership could help Smith’s grow toward the future, with some planned improvements in the works. “Charlie came in and it was just like an earth angel showing up,” Nolen said. “There are certain things in Atlanta that need to stay. It’s got so much soul and so much history.” For Hendon, it’s an opportunity to further pursue his passion for music. While his day job focuses on developing and managing retail centers — including a new 100-acre project in Dawsonville next to North Georgia Premium Outlets — musical themes have dotted his career. Two of Hendon’s three sons have played at Smith’s Olde Bar. Hendon has his own recording label, Madison Records, and counts big-name artist Elton Johnamong his friends.